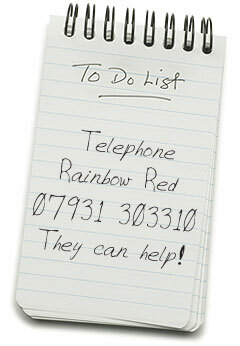 Would you like to become one of Rainbow Red’s approved suppliers? Rainbow Red is always on the lookout for reputable companies with whom to work. It is our policy to check them out personally before recommending them to our clients, to make sure we are 100% satisfied with the quality of their products or services (not forgetting their environmental and ethical policies). If you would like to do business with us, please email us so we can arrange to have a chat.